I read about this activity a while ago online but I can't remember which site I saw it on, if you know, please tell me - credit where credit is due. Open up a Word document (or Mac equivalent) and all you do is add various pictures from clip art. I found most of mine through Google (search "clip art outline apple" for example), and paste them onto your document. Resize to allow as many pictures as you think appropriate for your child's developmental level. 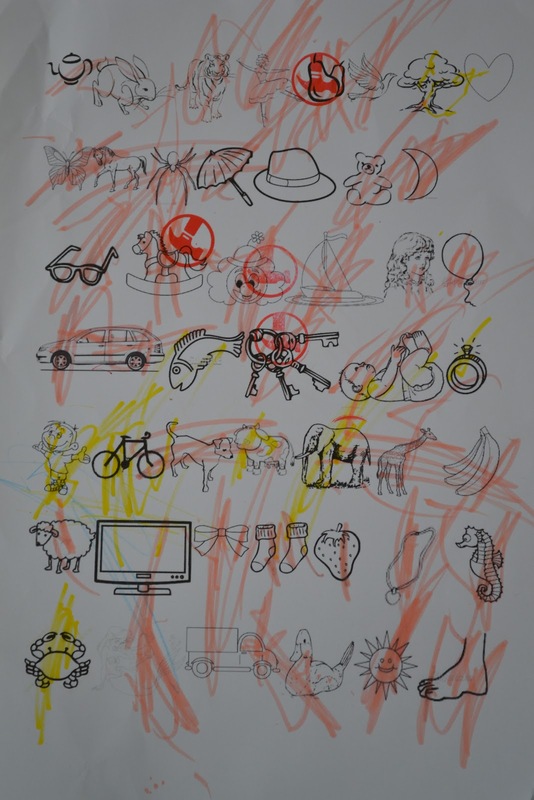 Print off a sheet, hand your little one a crayon, and you're ready to go. Or, you can download my version here. I would say to Eden, "I spy with my little eye, something wooly that says 'baaa'", Eden would say "Sheep!" and then try to find the picture of the sheep. When she found it, she coloured it in. If this is a little tricky for your tot, just say the name of the picture instead of giving clues. After a while, I changed my clues to be less specific, such as "I spy with my little eye, something to eat" and she could choose which image fit that description - the apple, the pear, the bananas, etc. This activity encourages your child to focus on a task, develops observational skills and comprehension skills (if you use clues to direct your child), and - best of all - will keep older kids occupied for ages. Younger toddlers would find this activity too overwhelming, so I would keep the number of images on a page limited to around eight to ten. If so inclined, you could prepare a couple of pages with two themes to a page. For example, one sheet of paper may only have animals and food on it. You could then ask your child to colour in the animals blue and the food red. Instead of colouring in the page, your tot could use counters, coins, or pom poms, etc, to place over the image as they find it. You may want to laminate a sheet and give them a washable marker, so you can re-use it. You could make up a page with everyday items and give it to them with a crayon when you go out. As she finds items, she can colour them in. Eg: clouds, a tree, a car, houses, etc. i also saw it somewhere else, the link is on my page i-spy sheets! 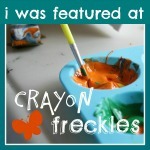 Hi Natasha, it WAS at your blog that I saw this activity! But I can't find it now?? Could you please post (here in the comments) the actual link to your I-Spy post, and I'll put it in the body of my post? Thank you! I'm also our newest follower on GFC and Networked Blogs, and would love it if you wanted to follow me too.